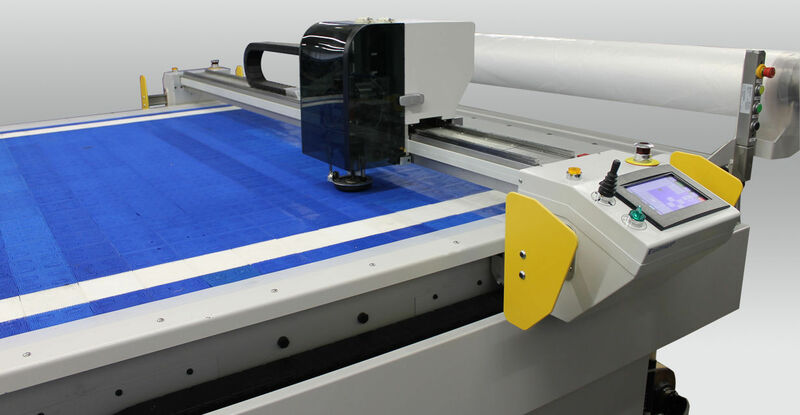 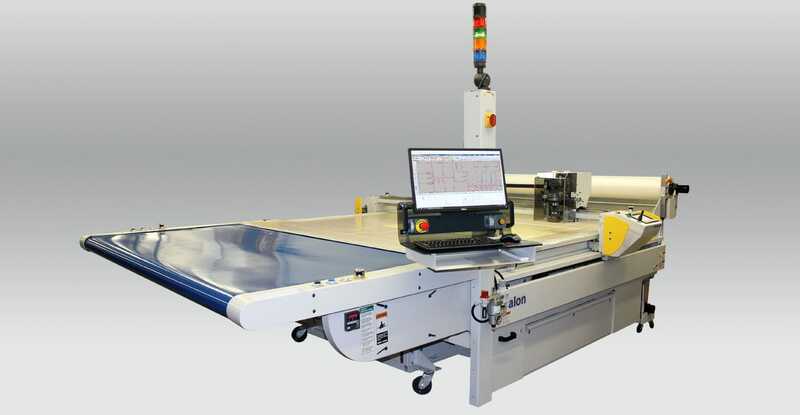 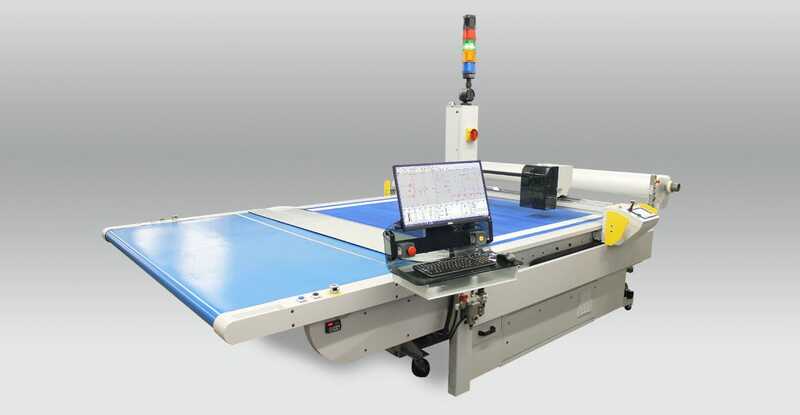 The Eastman Talon 25x™ is engineered and manufactured in the USA to automatically pull stacked material plies from the spreading table to a modular, bristle-block conveyor bed for reciprocating knife cutting of patterns. 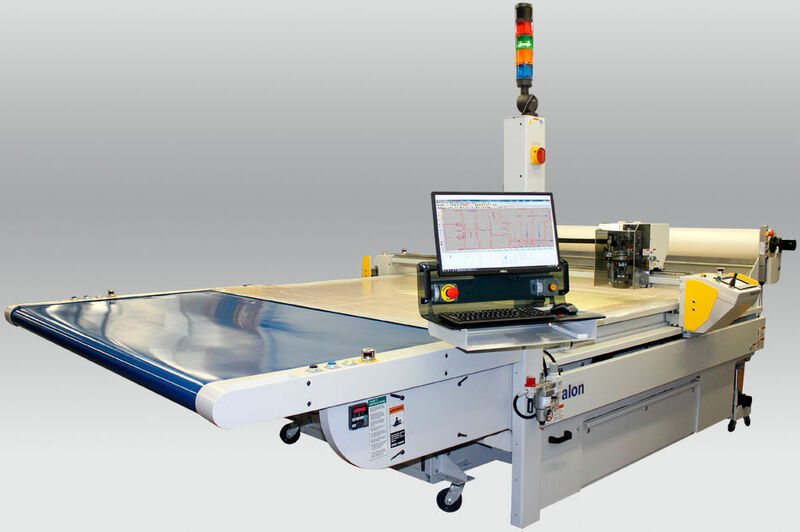 Precise system operations with state-of-the-art motion control communications offer an industrial-strength solution for cutting up to 3cm of compressed material goods. 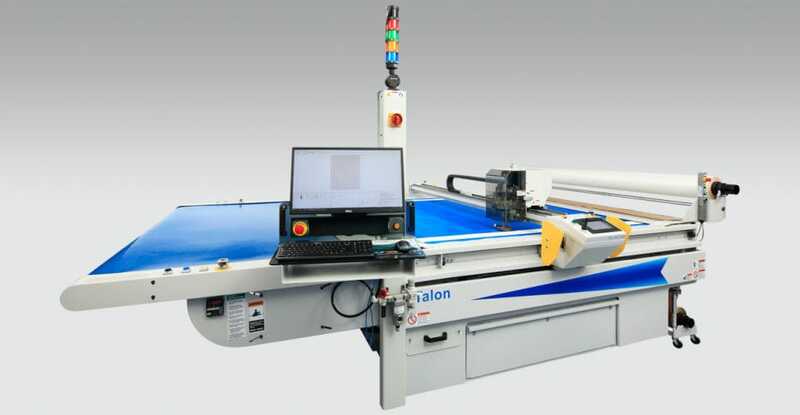 The Talon has been engineered to meet the demands of clients in growing market segments like industrial fabrics and composites industries; customers cutting traditional -as well as- modern technical materials like kevlar, fiberglass, nonwoven polyesters, foam-backed vinyl and other industrial fabrics.